Home | Ceramic Tea Cups & Mugs | Sushi Cups | Celadon Crackle Sushi Cup, 7 oz. 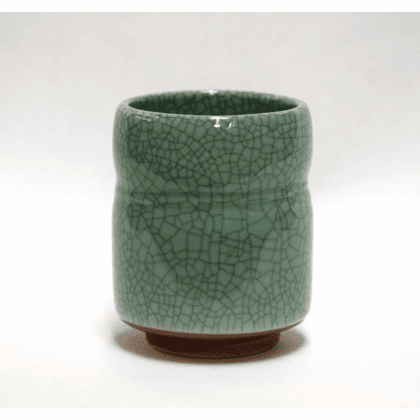 This celadon color crackle glaze ceramic cup has a thicker wall than our 10 ounce size cup. Dishwasher safe.